Is this tablet compatible with usb tethering for internet? Hello do you know how long the battery would last on this while using the GPS? Also do you know if it has a magnetometer? I need a tablet for fieldwork so will need it for 9 hours a day. Sudden death after 3 years. 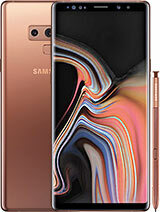 Though the usage of S-Note and the Pen was extreemly good experience. my wifi is not working . it turns on but can't detect anything . then it goes auto off then never turns on again . i did factory reset but it's still like that . I think I just erased all of my files for nothing (didn't back-up anything coz' I didn't think about it). Please help if this ever happened to you and you came out of this situation fixed. Thank you! Tested it and that is the fault: the official update 4.4.2! pivoto, 07 May 2016I have a problem with my galaxy note n8013 u.s. For full carging i need 7h Whot to du? ?Most likely charger is fine its just charging cable faulty. I had the same problem on my 8010 tablet. it was taking forever to charge. I downloaded 4.1.2 for NorthAmerica (original image as under About My device look for VERSION after the N8010 i.e. JXXXXX.N8010XXUCMH2 is Jelly Bean 4.1.2 for Canada for example); then applied the KitKat version. Guess next step if to figure out how to upgrade to lillipop - I've been told Samsung is not planning to release an update for lollipop. I have actually tested whether it can host lollipop with some diagnostics software off samsung site, and IT CAN; one option I have seen used is download lollipop 5.0 for P600 (firmware is very close and almost identical) which is available for lollipop - I'd recommend you do KitKat first > phased upgrade to limit HW compatibility issues with a big bang approach. How to update to Lollipop? AnonD-439060, 10 Sep 2015I have problem with battery isn't working when charging. Is it suppose to replace battery? So ... morethe stock cgarger cables are faulty. go get a new cable! How do I update to kitkat? I have problem with battery isn't working when charging. Is it suppose to replace battery? So where I can buy new battery? Is it available in the Philippines? Let me know. Does this model take headphones? 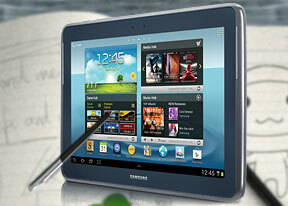 Total of 153 user reviews and opinions for Samsung Galaxy Note 10.1 N8010.